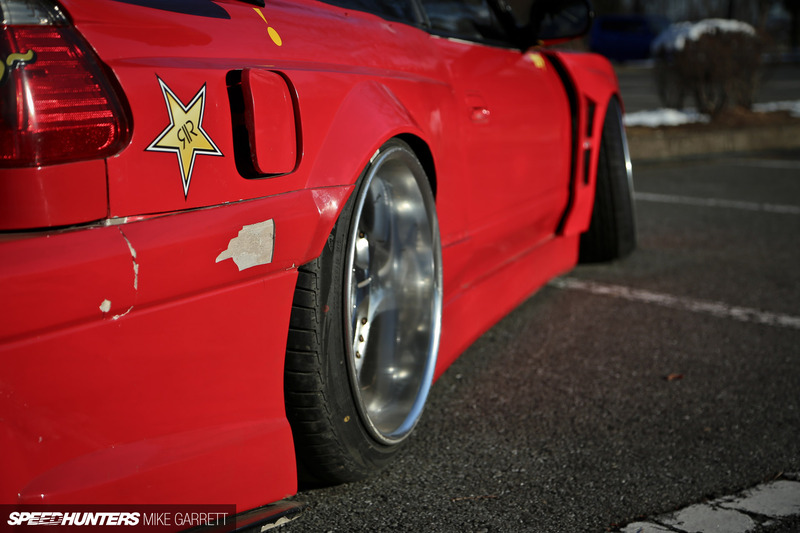 The thing I love most about drift cars is how creative their owners get when it comes to styling. 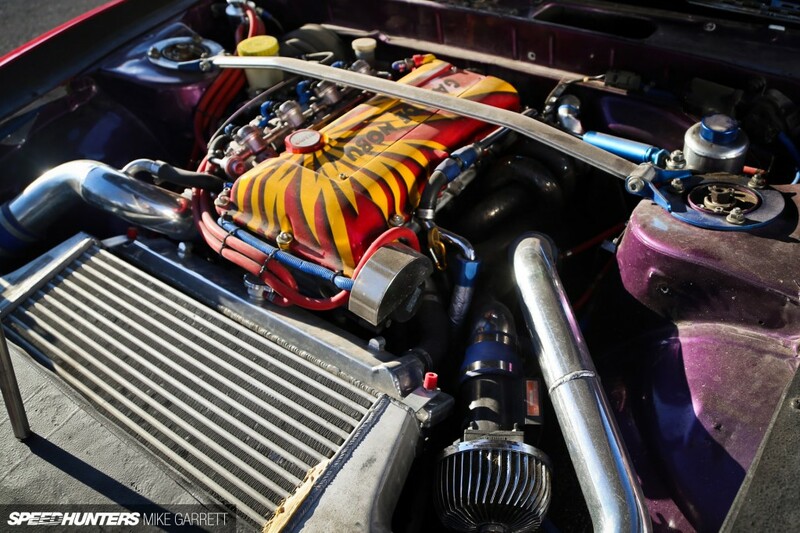 Drifting is an extremely visual motorsport with no rules, and that has led to some very unusual drift cars over the years. Which brings me to the city of Utsunomiya in Tochigi, Japan, where I encountered one of the strangest S13s I’ve ever seen. The most dramatic part of this slammed wide body 180SX is the front end, which is styled after a fifth-gen Chevy Camaro. 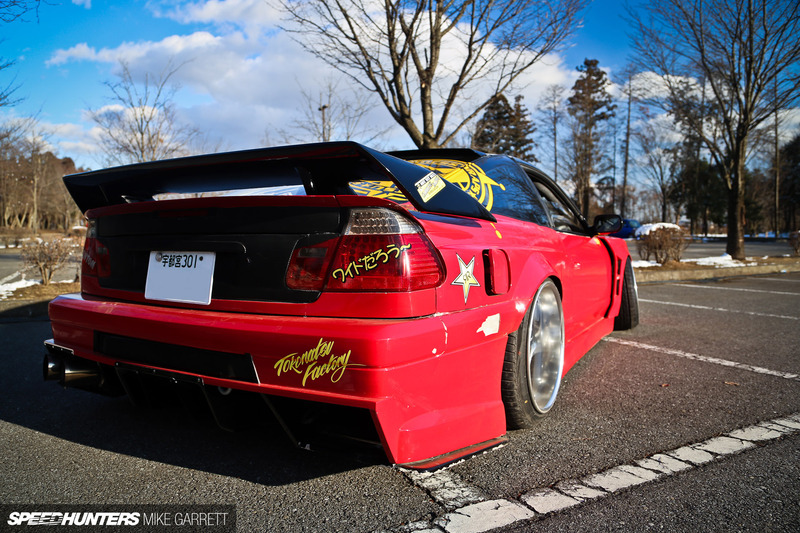 Mihiro built the entire thing from scratch using FRP, and I really dig the DIY mentality behind this car. Along with the Camaro nose, the 180SX is also running E46 BMW tailights in the rear – because crazy drift car. With the extravagant widebody, a proper set of wheels is needed to fill the fenders and the mismatched setup includes a pair of the always-cool SSR Agle Minervas up front. And while there’s enough custom bodywork to make this S13 a show car, it’s not only street driven, but it gets drifted regularly as well. 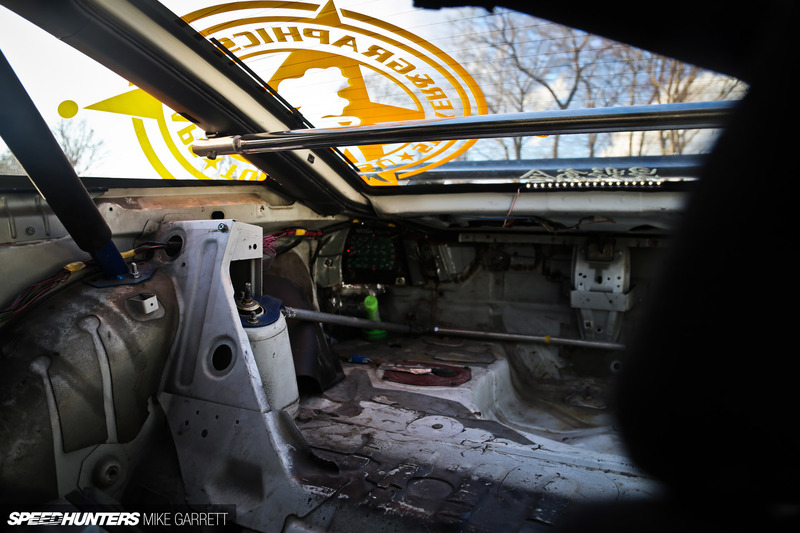 That becomes the apparent the moment you look inside the car and see the roll bar and stripped-out hatch area. And when you poke your head under the hood and see that the Nissan is powered by a worked SR20DET with a V-mount intercooler setup. 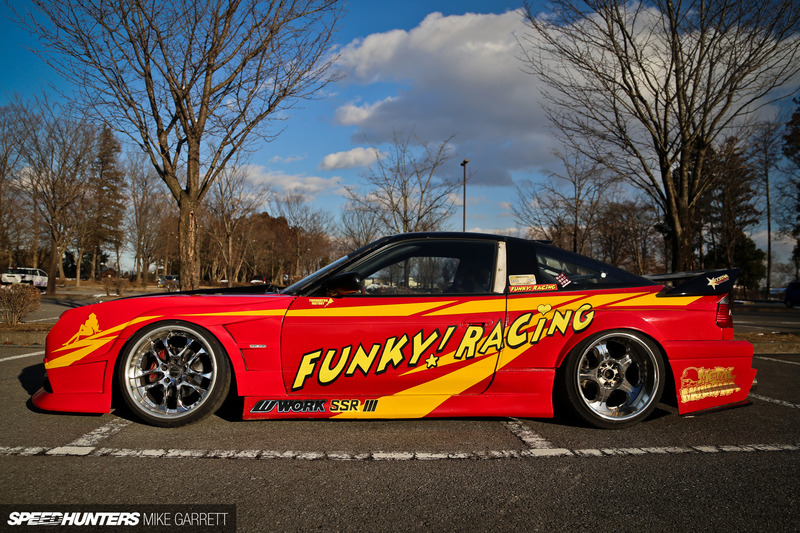 The power from the SR gets used often when the guys from Funky Racing hit the track. 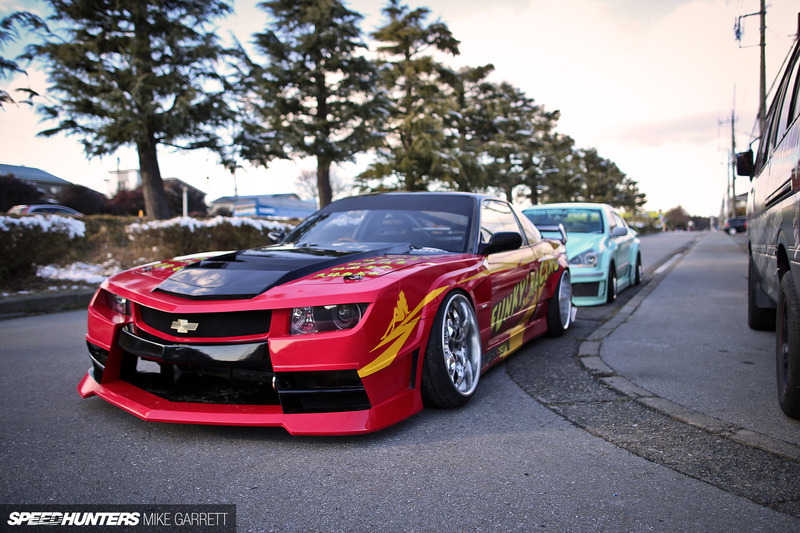 It’s far from subtle and the body lines are certainly busy – but there’s no doubt this thing has put smiles on the faces of many when it’s being flicked around the tight corners of Nikko Circuit.